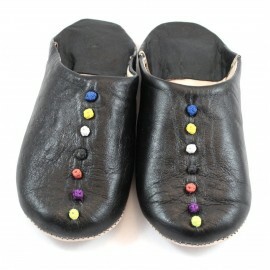 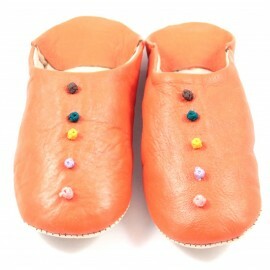 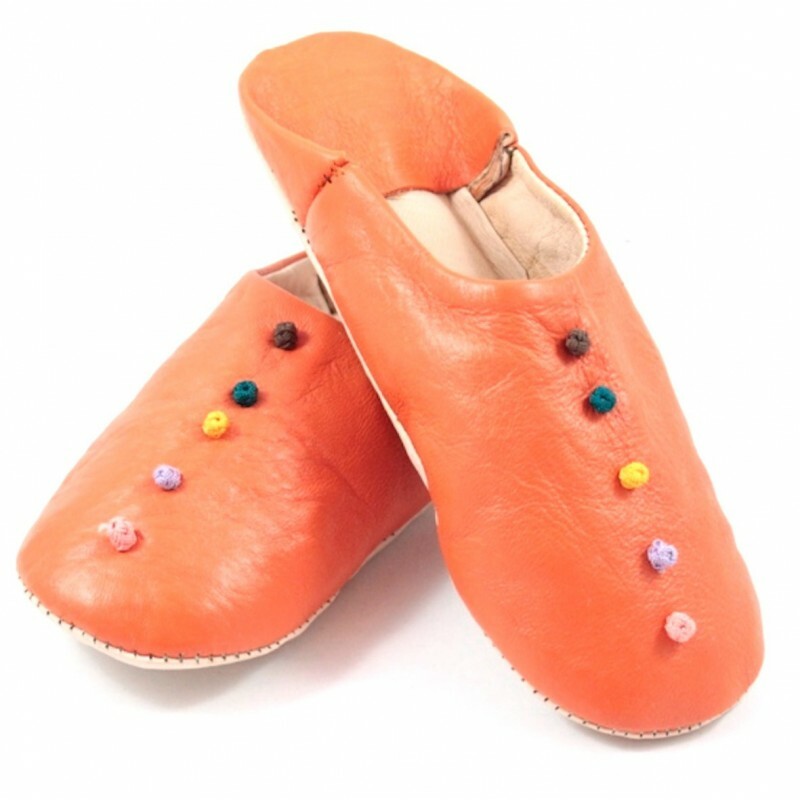 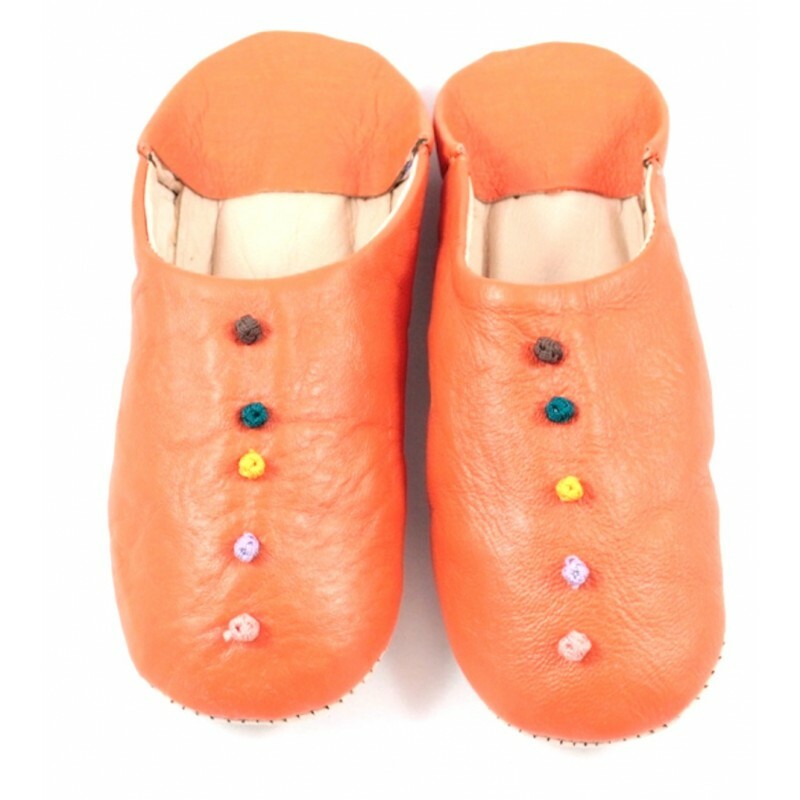 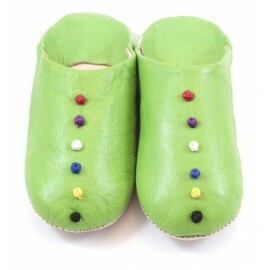 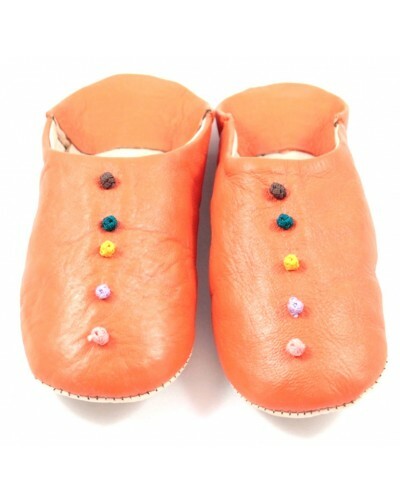 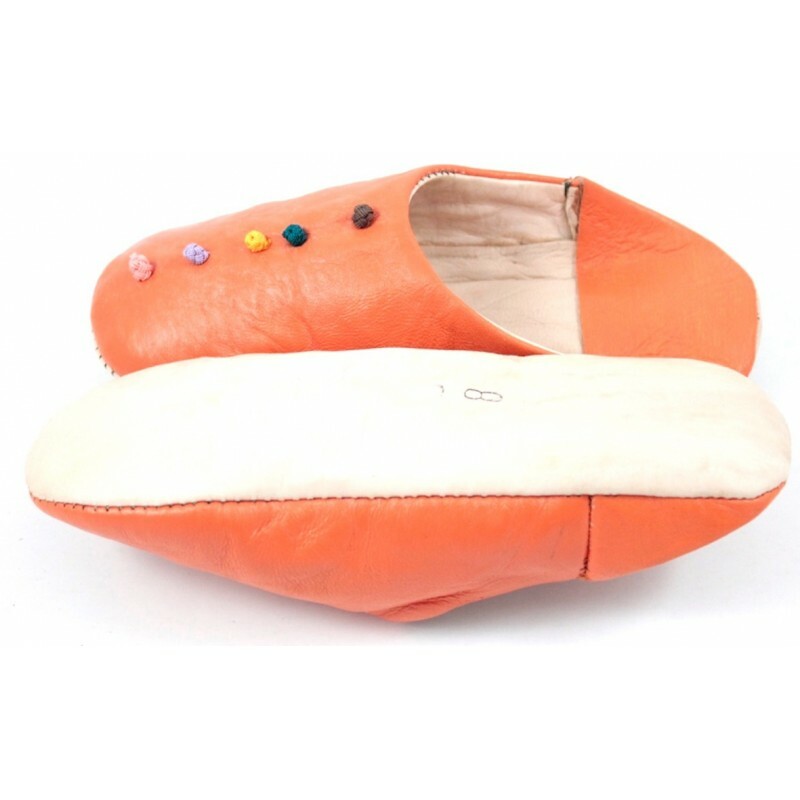 These subtle and original slippers made of soft leather and featuring pompoms have been carefully handcrafted from fine vegetable silk of Sabra and adorned with buttons. 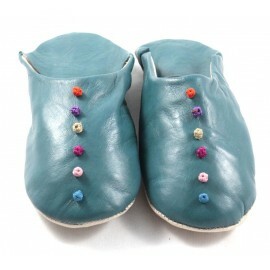 This small and exquisitely delicate touch makes all the difference! 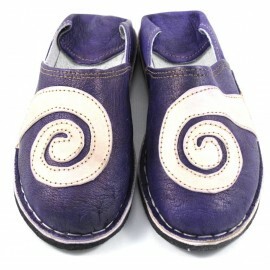 They're very comfortable and can be worn every day indoors. 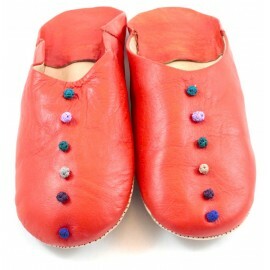 Soft, rounded slippers skillfully handcrafted in the great city of Marrakesh. 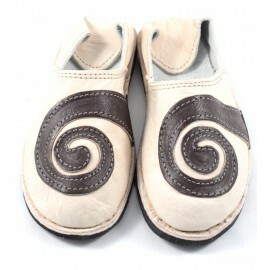 Soft color and smooth leather. 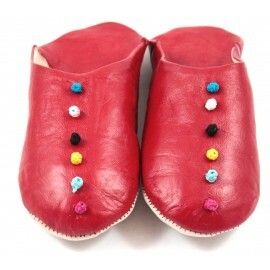 Leathered outside with colourful Pom-Poms. 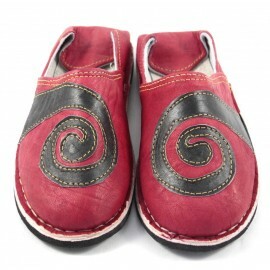 Leathered insole and outsole with professional finishing for maximum comfort.